Starting his carer in showbiz in 1990, Gong Hyung-jin has acted as many kinds of characters, both in supporting and lead roles, for his television dramas, movies, and theater shows. Not only taking part in cinema, Gong Hyung-jin also showcases his skill in hosting variety shows and radio shows. Awarded as Best Supporting Actor on the 3rd Busan Film Critics Awards in 2002 and Best Supporting Actor on SBS Drama Awards in 2006, it is necessary to say that Gong Hyung-jin never ceases to put effort into his projects. Thus, in this article, Channel-Korea will explain to you all about Gong Hyung-jin, which includes his full profile and his projects in films, dramas, theater shows, and variety shows. So, stay tuned! As was affirmed in the beginning of this article, Gong Hyung-jin is considered a multi-entertainer in the entertainment industry not only because of his acting acting, but also because of his ability to host broadcast programs, be it on television or the radio. 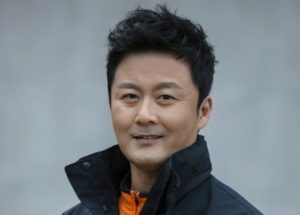 As an actor, Gong Hyung-jin’s name may not be as well known to the international fans, but truth to be told, he is also the main character of some of his movie projects. Thus, in this section, Channel-Korea has compiled a list of television series, films, and theater shows that Gong Hyung-jin has starred and guest starred in.